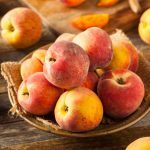 Use this Ontario peach glaze on any of your favourite BBQ eats! Grill skewered vegetables, ribs, chicken wings, even tofu! 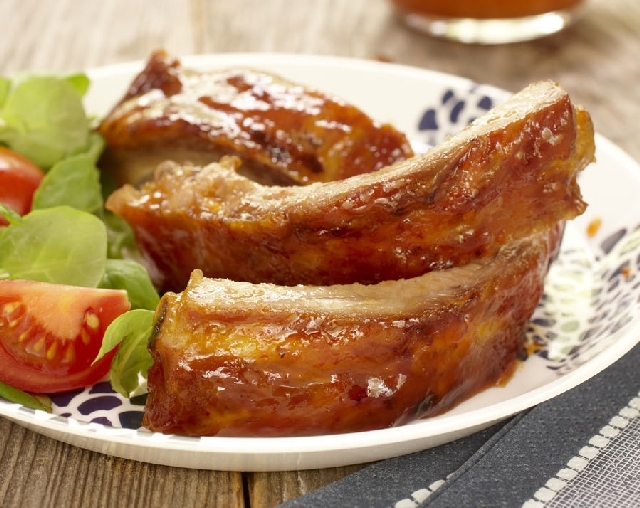 These Ontario peach glazed ribs will definitely be a sweet, sticky hit at your next party! In a large pot, cover the ribs with water; add lemon slices, bring to a boil over medium-high heat. Reduce heat to maintain a vigorous simmer and continue to cook partially covered for 45 to 60 minutes, or until the meat is tender but not falling off the bones. Drain and transfer to tray or platter. Discard lemon. 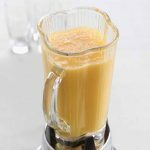 Meanwhile, combine peaches, chili sauce, soy and gingerroot in a food processor or blender and blend until smooth. 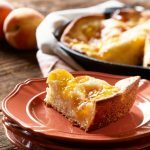 Brush the ribs generously with the peach glaze and grill for 10 minutes. Brush the ribs again and grill 10 minutes longer, until the glaze is caramelized. Alternatively, roast the ribs in a 425F (220C) oven until glaze is caramelized, about 20 to 30 minutes. Slice into ribs. Serve warm or at room temperature with any remaining glaze.